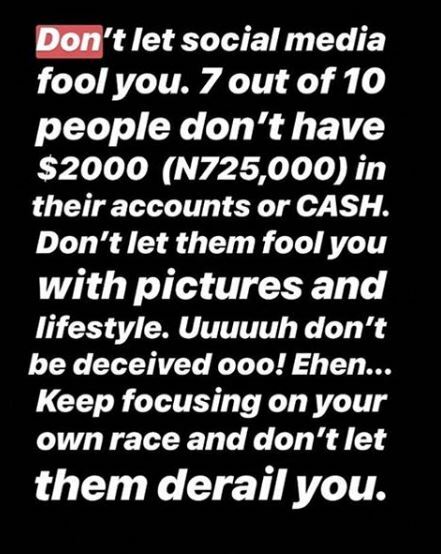 Tonto Dikeh, one of Nigeria's most controversial actresses, has advised her followers not to dwell on the lives people live on social media because most of them are fake. 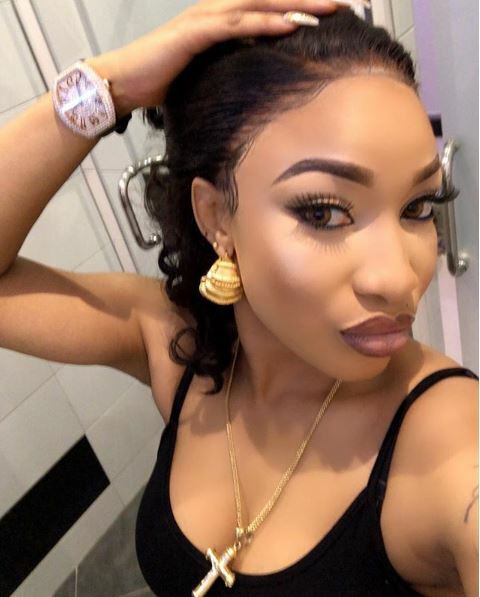 The actress also went on to expose how some social media celebrities live their lives to impress. 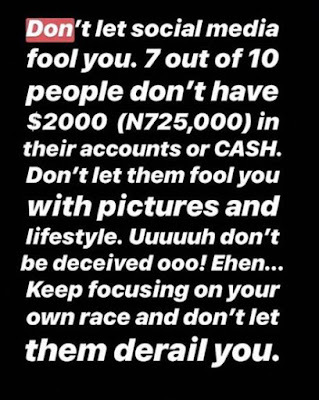 She first released the image below bearing some words advising her followers to not be fooled by other people's lifestyles on social media. She then went on to write: "Don’t be fooled nor be pressured to live on the fast lane.. "I know people(MALE AND FEMALE) who travel abroad once a year and take pics to last the gram for a year(Slowly releasing them to make us feel they travel everyday!! 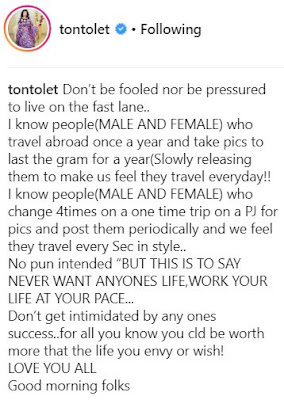 "I know people(MALE AND FEMALE) who change 4times on a one time trip on a PJ for pics and post them periodically and we feel they travel every Sec in style.. "No pun intended “BUT THIS IS TO SAY NEVER WANT ANYONES LIFE,WORK YOUR LIFE AT YOUR PACE... "Don’t get intimidated by any ones success..for all you know you cld be worth more that the life you envy or wish! "LOVE YOU ALL "Good morning folks"